In spite of being out all afternoon running errands in the rain… I did manage to get the butterfly top assembled. No borders for this one. 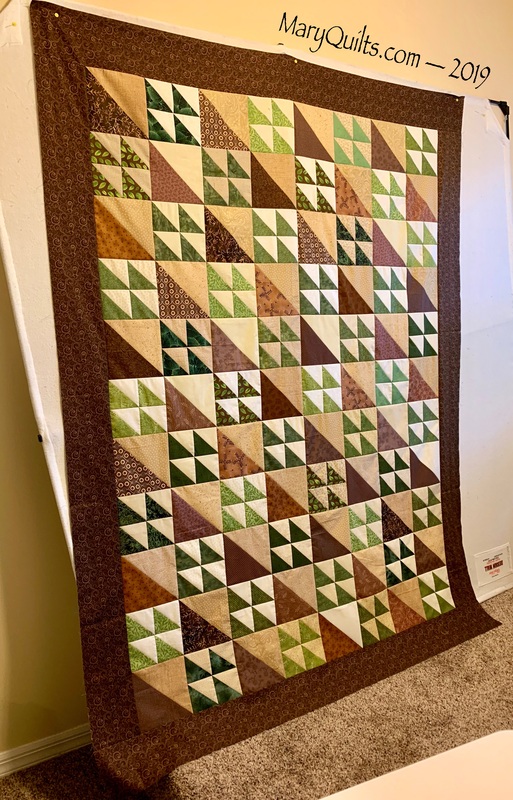 I’m happy to have made progress on another UFO although this one won’t get quilted for a few years … the recipient has some growing to do! 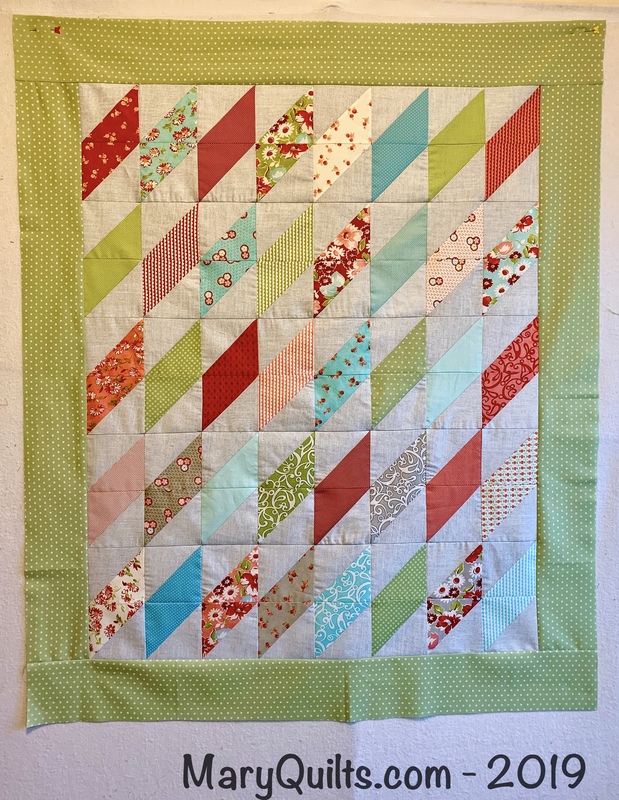 The borders are on and the Ohio Star top is done. It will wait a while for quilting as do all my tops! 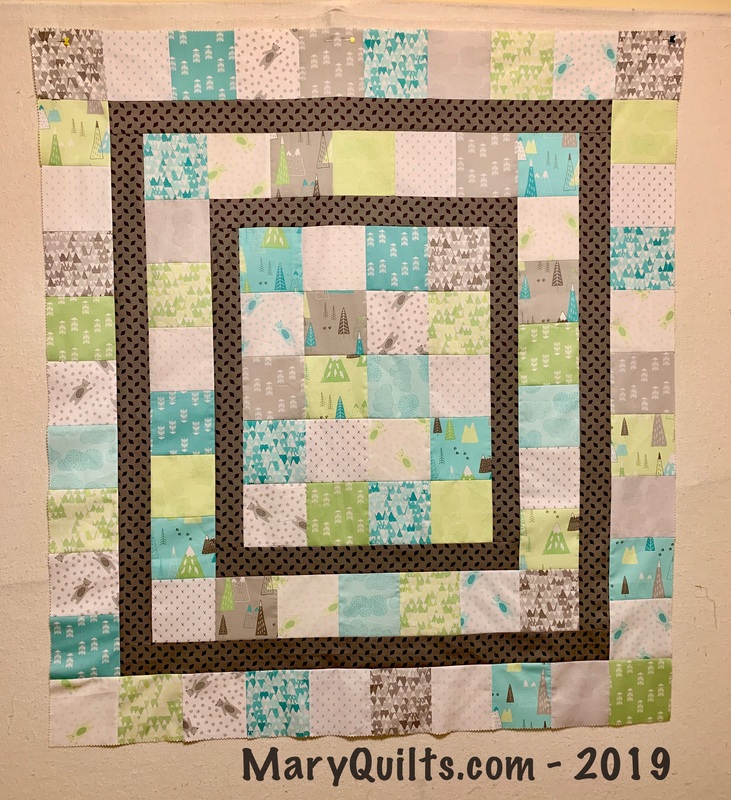 This is my February Precut Party quilt – Fat Quarters were the precut of the month and I used 8 (or part of 8) Fat Quarters in this top. I didn’t get everything I wanted to get done this week because I was expecting company last night and had to straighten up and get ready for them but at the last minute, Chris decided not to come. Hopefully we’ll see them soon. I did spend time looking at knitting patterns – looking for another hat to do some slip stitch color work using magic loop but in the end I decided I’d just cast on a plain one and get more practice using this method. I do have a couple potential hats in the queue now. 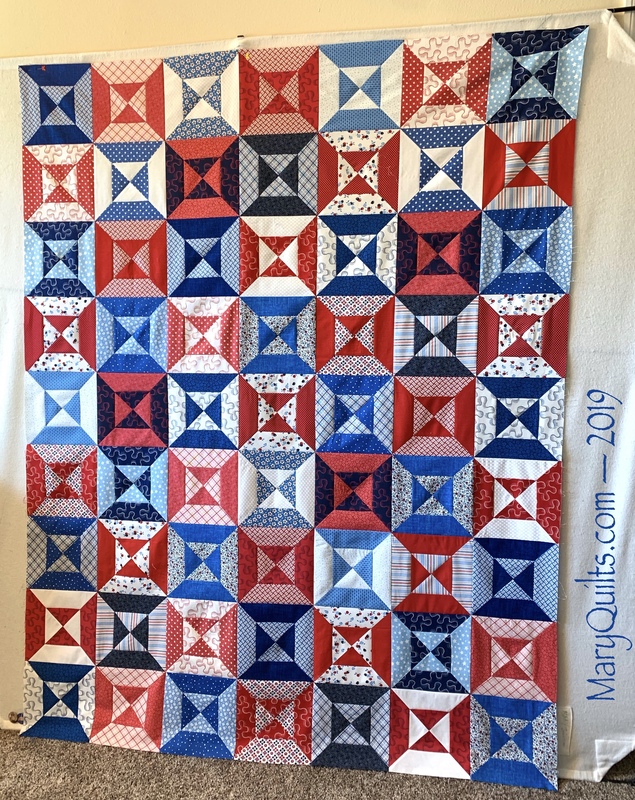 After finishing the border on the Ohio Star I pulled out a top, pieced a back, and since my leftover batting bin is overflowing, I pieced a batting for it. Just a quick zigzag on the machine to attach the pieces and it’s ready for me to load. As you can see from the bin, I need to piece more! I said it was going to have to be an easy one for me to get it done this month. I’m still scrambling trying to get tidied up from Christmas and getting ready for Mom’s visit but the rest of the week is going to be busy too so I kept sewing until I had a top. 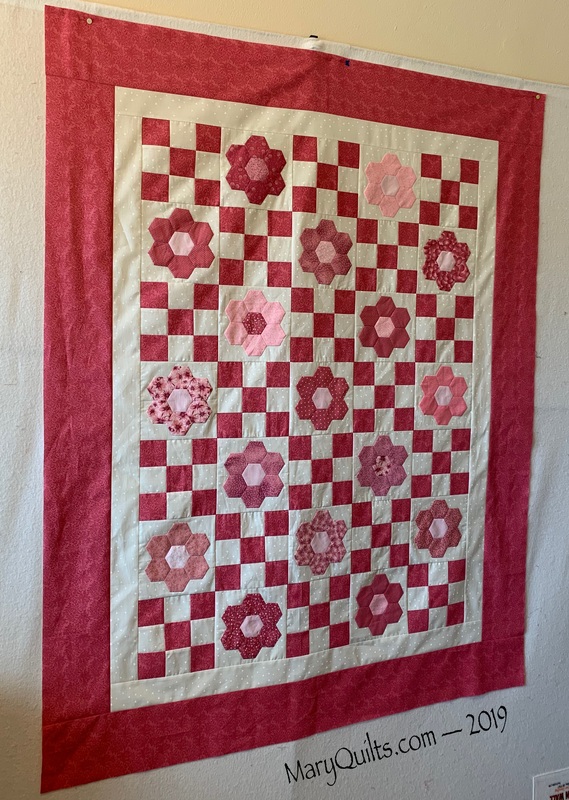 I saw a quilt like this somewhere, maybe the Moda Bake Shop or Craftsy but didn’t use a pattern. It used 2 Charm packs that I bought at Craftsy. 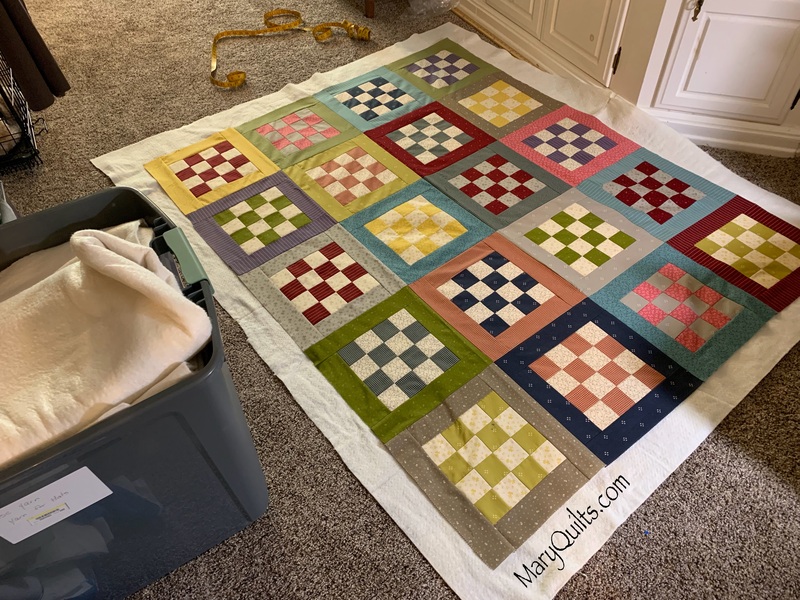 I don’t know why I don’t make more small quilts like this … they’re a perfect size for pinning and working on the big ironing board…no crawling around on the floor! I kind of thought I’d get this top together before the end of the year but since that didn’t happen, I was determined to get it assembled today. In my book, a completed top counts as a finish and it’s nice to start the year off right! 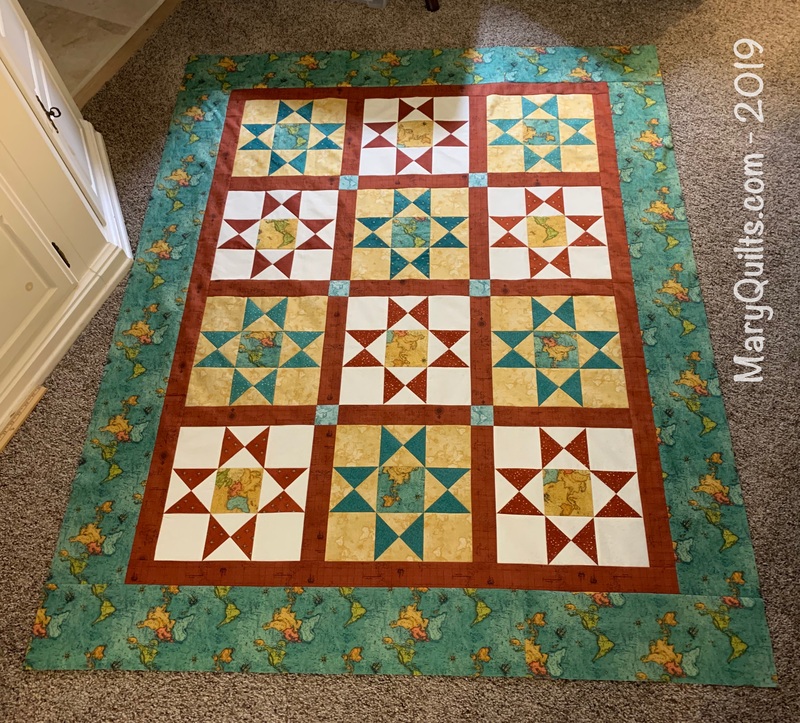 You can find brief instructions for this quilt I call Easy Flock of Geese on my website. 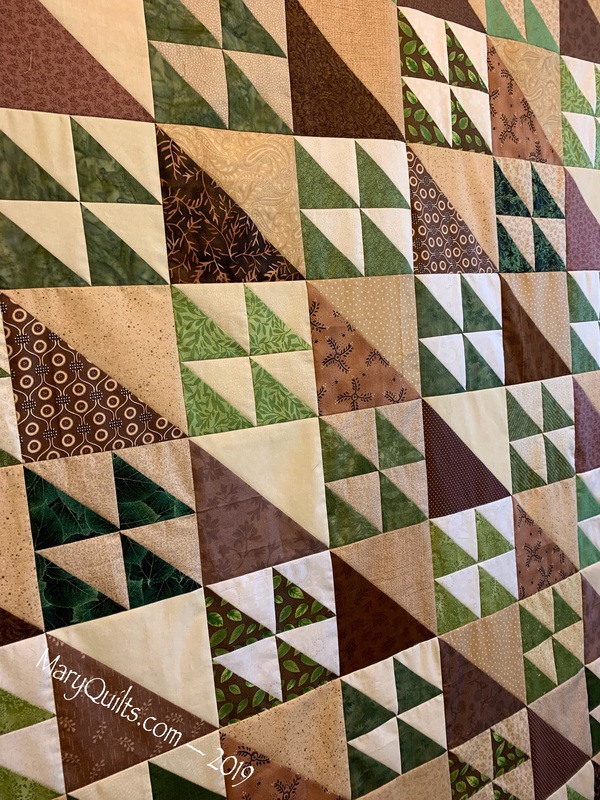 I’m not a perfect piecer by any definition but these half square triangles were cut with my Accuquilt GO and I find they piece together nicely! I’m always happy when my piecing lines up well.